There’s a deluge of CSS front-end frameworks available nowadays. But the number of really good ones can be narrowed down to just a few. In this article, I’ll compare what I think are the five best front-end frameworks available today. Each framework has its own strengths and weaknesses, and specific areas of application, allowing you to choose based on the needs of a specific project. For example, if your project is simple, there’s no need to use a complex framework. Also, many of the options are modular, allowing you to use only the components you need, or even mix components from different front-end frameworks. The front-end frameworks I’m going to explore are presented based on their GitHub popularity, beginning with the most popular, which is, of course, Bootstrap. 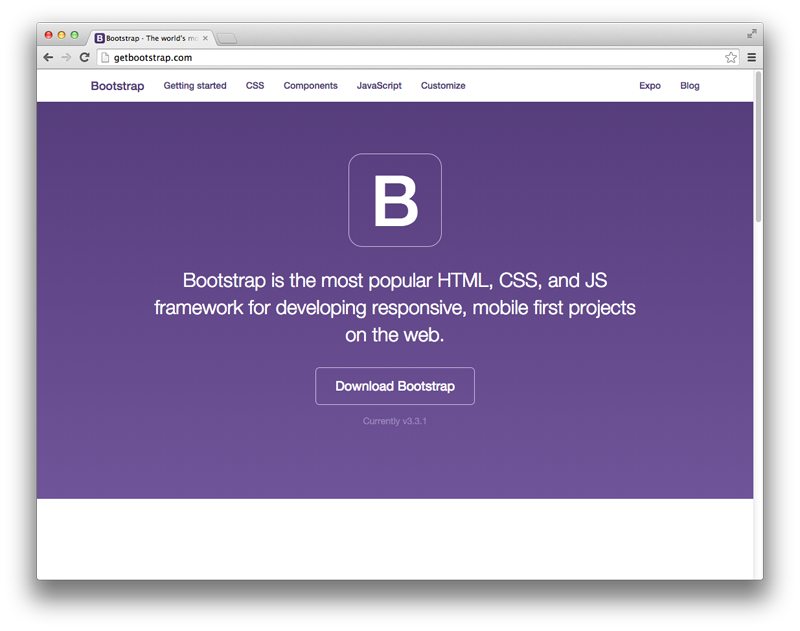 Bootstrap is the undisputed leader among the available front-end frameworks today. Given its huge popularity, which is still growing every day, you can be sure that this wonderful toolkit won’t fail you, or leave you alone on your way to building successful websites. Creators: Mark Otto and Jacob Thornton. Core concepts/principles: RWD and mobile first. Extras/Add-ons: None bundled, but many third-party plugins are available. Browser support: Latest releases of Firefox, Chrome, Safari, IE810-11-Microsoft Edge. The main strength of Bootstrap is its huge popularity. Technically, it’s not necessarily better than the others in the list, but it offers many more resources (articles and tutorials, third-party plugins and extensions, theme builders, and so on) than the other four front-end frameworks combined. In short, Bootstrap is everywhere. And this is the main reason people continue to choose it. If you’d like to learn more about Bootstrap, check out Your First Week With Bootstrap, Bootstrap: Related Tools & Skills, and 8 Practical Bootstrap Projects. Note: By saying “unique components”, I mean that they’re unique compared only to the front-end frameworks mentioned in this list. 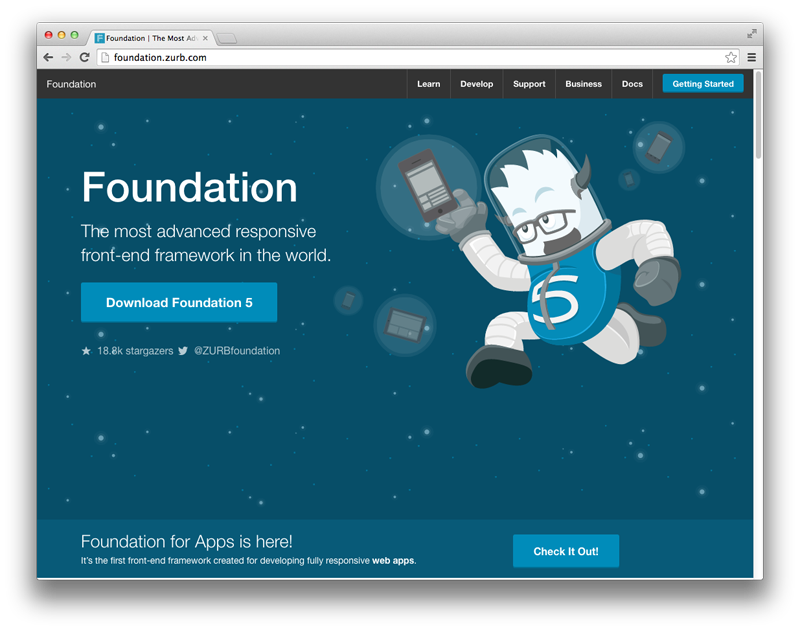 Foundation is the second big player in this front-end framework comparison. With a solid company like ZURB backing it, this framework has a truly strong … well … foundation. After all, Foundation is used on many big websites including Facebook, Mozilla, Ebay, Yahoo! and National Geographic, to name a few. Documentation: Good, with many additional resources available. Foundation is a truly professional front-end framework with business support, training, and consulting offered. It also provides many resources to help you learn and use the framework faster and easier. If you’d like to learn Foundation, check out our book: Jump Start Foundation. 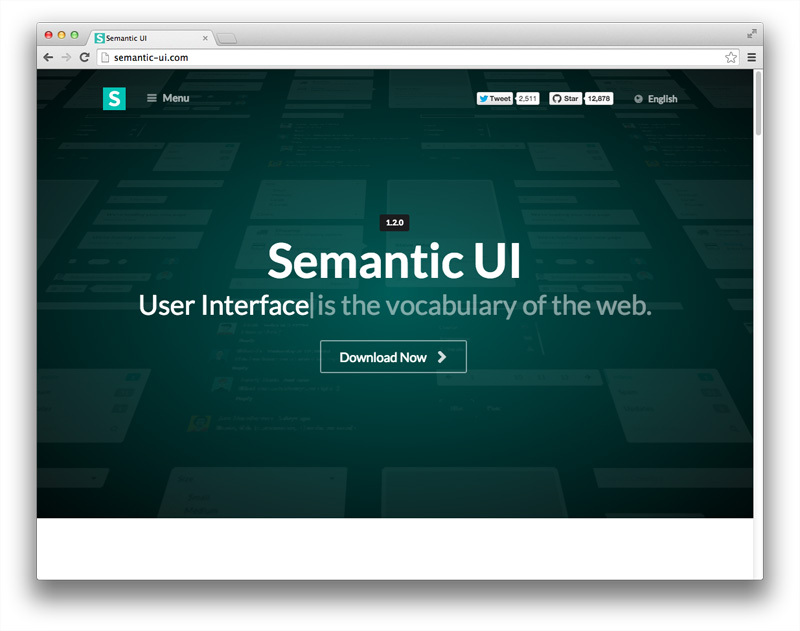 Semantic is the most innovative and full-featured front-end framework among those discussed here. The overall structure of the framework and the naming conventions, in terms of clear logic and semantics of its classes, also surpasses the others. Pure is a lightweight, modular framework — written in pure CSS — that includes components that can be used together or separately depending on your needs. 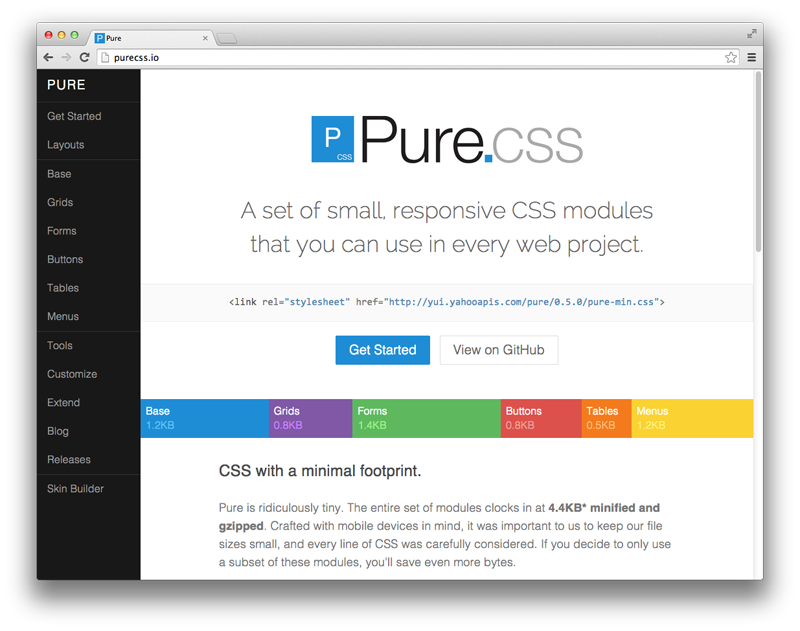 Pure offers only bare-bones styles for a clean start to your project. It’s ideal for people who don’t need a full-featured framework but only specific components to include in their work. 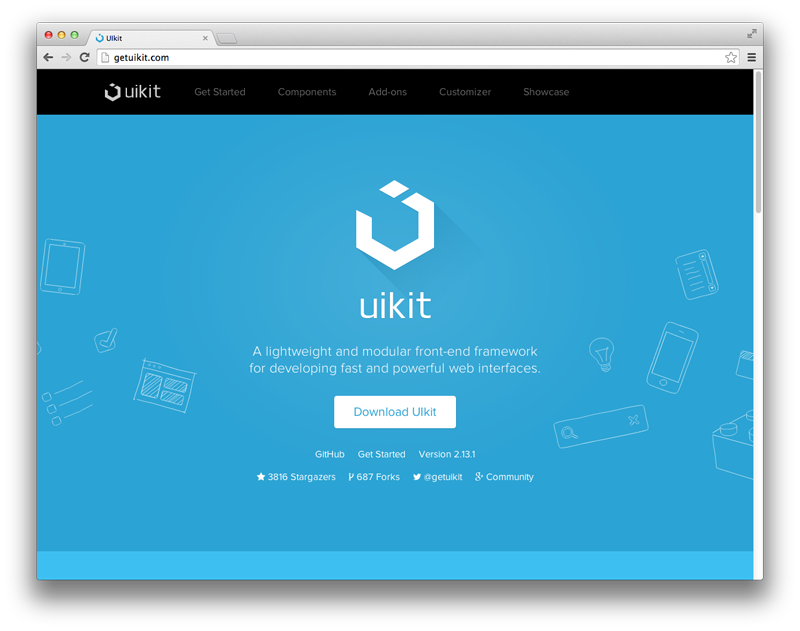 UIkit is a concise collection of easy-to-use and easy to customize components. Although it’s not as popular as its competitors, it offers the same functionality and quality. What’s the Right Front-end Framework for You? Does the framework have enough popularity? Bigger popularity means more people involved in the project, and thus, more tutorials and articles from the community, more real-world examples/websites, more third-party extensions, and better integration with relative web development products. Great popularity also means that the framework is more future-proof: a framework with a bigger community around it is much less likely to be abandoned. Is the framework under active development? A good framework needs to level up constantly with the latest web technologies, especially with regards to mobile. Has the framework reached maturity? If a particular framework is not yet used and tested in real-world projects, then you can freely play with it, but to rely on it for your professional projects would likely be unwise. Does the framework offer good documentation? Good documentation is always desirable in order to facilitate the learning process. What is the framework’s level of specificity? The main point here is that a more generic framework is far easier to work with, in comparison to a framework with high-level specificity. In most cases it’s better to choose a framework with minimal styles applied, because it’s much easier to customize. Adding new CSS rules is a far more convenient and efficient process compared to overwriting or overriding existing ones. Plus, if you add new rules on top of the existing ones, you’ll end up with unused rules, which will increase unnecessarily the size of the CSS. Finally, it should be mentioned that nowadays, with Flexbox and Grid Layout having good support in the latest versions of major browsers, it’s easier than ever to build complex layouts. This fact alone might encourage more developers to leave the crutch of front-end frameworks and code their layouts from scratch. What are your thoughts? Do any of these front-end frameworks have any strengths and weaknesses that weren’t mentioned here? Do you think there are others that should have been listed? Let us know in the discussion below. To dive deeper into the top two front-end frameworks, try Bootstrap: A SitePoint Anthology #1 and Jump Start Foundation. This article was updated in July 2018 to reflect the current status of the features present in the front-end frameworks listed below. I've recently been using PureCSS.io in one of my work projects, because some of the people are very apprehensive about frameworks in general and it's a nice easy transition. I have to say that it's pretty good, but it is very basic. I really miss offset grids and a few other things like centered grids. But it is pretty absic, so adjusting this manually isn't that big of a deal, there isn't really enough there to conflict with overrides. I actually didn't even know it was by Yahoo, but that's pretty cool. Makes me feel better about choosing it. Also, it's worth noting that Skeleton recently updated for the first time in 3yrs. It's also a very good lightweight option. GetSkeleton.com is the site. The developer had actually forgotten about it when he went to work for Twitter and Medium.com. You can find that blog post here. And here is the github. Since you're basing it on Github popularity, Skeleton would actually be #5. @kensho Is it possible to cover the accessibility of each framework? This is important and a deciding factor for many. Thanks. That's a great suggestion, we'll have to look into doing a post about that in the future. Thanks! I'd like to see this as well. But I believe that Foundation made some #a11y additions recently, and i'm sure they announced it. And there it is... I had this bookmarked somewhere.